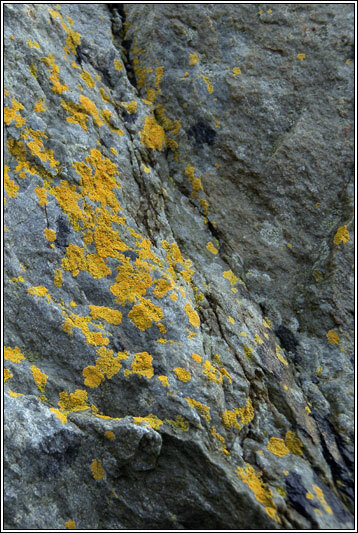 Photos: On coastal rocks near Bantry, Cork, SW Ireland. 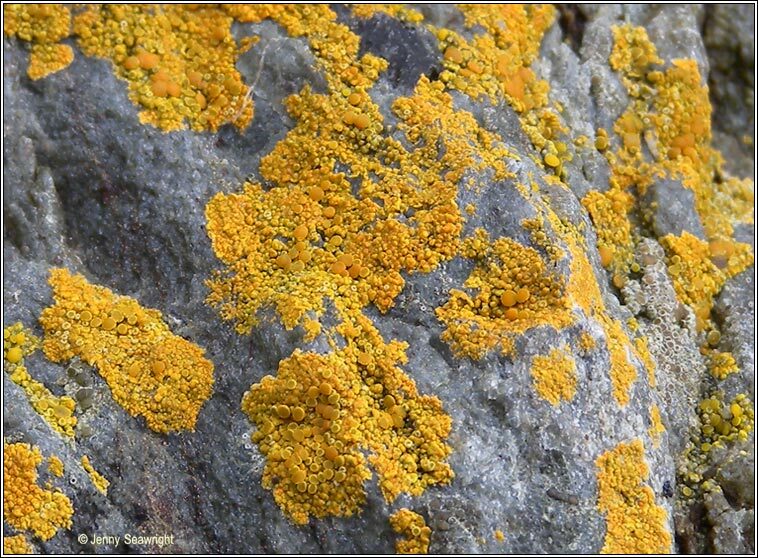 Bright orange or yellowish-orange thallus, fragmented and granular or continuous and areolate. Well-developed specimens sometimes with pale prothallus and areoles with small lobes. 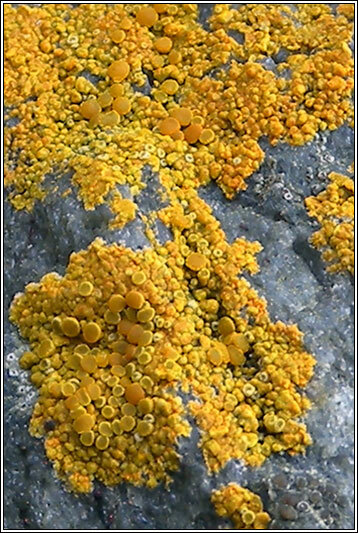 Small grouped or scattered deeper-orange apothecia with thin, paler margins. 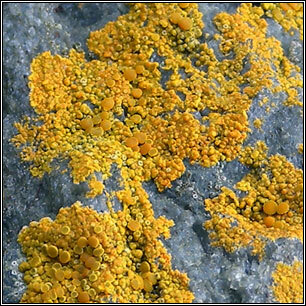 Only found on hard coastal rocks and cement.